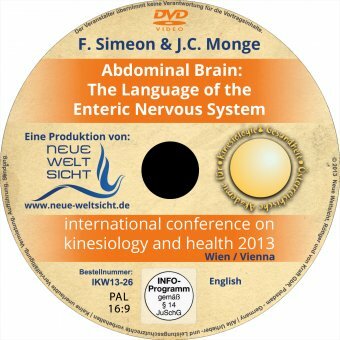 This dvd was recorded in September 2013 at the international congress for kinesiologie and healing in vienna. Physical & Emotional Approach With Psycho-Energetic Kinesiology and Bennet’s Original Technique. Application to Irritable Bowel Syndrome. Content of the Lecture: Neurovascular Reflexes are just a small part of the original Terence Bennett approach. Bennett’s techniques in conjunction with kinesiology open an area of communication and regulation with body functions. The Enteric Nervous System, E.N.S, plays an important role in many functions, and it is a main clue in gastroenterology problems treatments. Probably the most know functional disorder is Irritable Bowel Syndrome, I.B.S. Irritable Bowel Syndrome, was define in 2006 by the ROME III consensus as a "functional bowel disorder in which abdominal pain or discomfort is associated with defecation or a change in bowel habit, and with features of disordered defecation". I.B.S. is a common condition in our society. Working with the stress memories, past issues, related and improving/updating the regulation between C.N.S. & E.N.S. are going to be major clues on the successful approach for the I.B.S. It is also important to consider energetic & infections stress factors as well as emotional. Professional Kinesiologist accredited by the IKC Professional School. Degree in Clinical & Educational Psychology and in Psychoenergetic Kinesiology at the RCU University. TfH & Brain Gym instructor. Formed representative for ICPKP & Three In One Concepts. Professional Kinesiologist accredited by the IKC Professional School. Osteopath D.O. and Physiotherapist. Degree in Psychoenergetic Kinesiologist at the RCU University. TfH Trainer for Spain. Kinergetics representative for Spain. LEAP-Brain Integration Trainer. Formed representative for ICPKP & Advanced Kinesiology. They both are working with kinesiology since 1989. 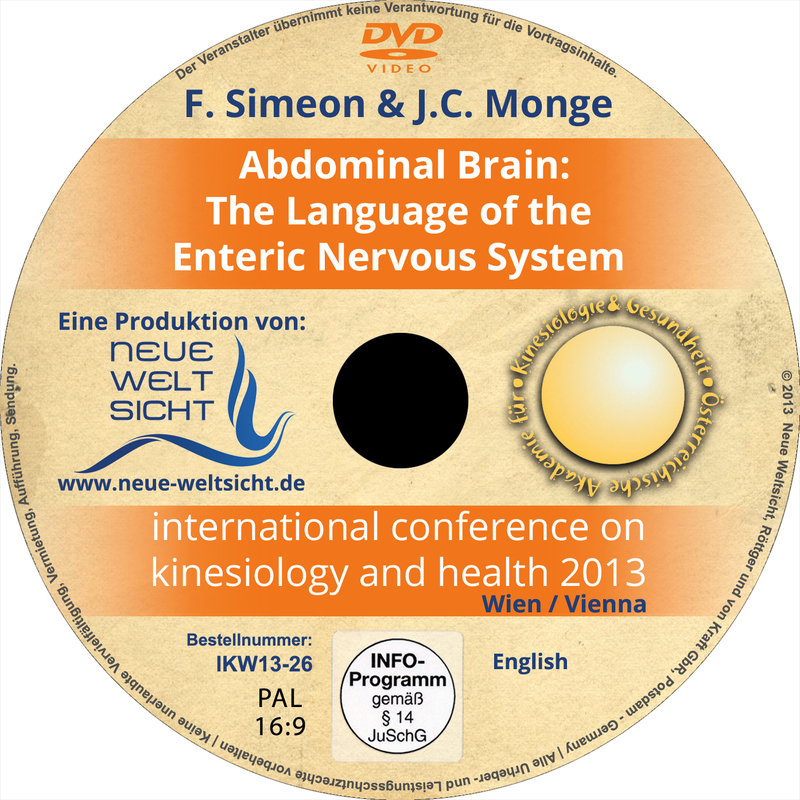 They run "vida kinesiología", a school in Barcelona (Spain) where they offer a professional kinesiology training programme. They have four children and four grandchildren. Morning Sickness, Electric Fences and Compassion Fatigue.